When deep water structure fishing is the key nothing beats a football jig. Jewel Bait Company developed a football jig with one thing in mind, catching bass. The realistic finesse cut skirt designs allow you to match the forage in any type of water. Perfect size for catching those quality fish in the 8-15 foot range. The rough feel of the head makes the jig look even more natural as it crawls over the bottom. 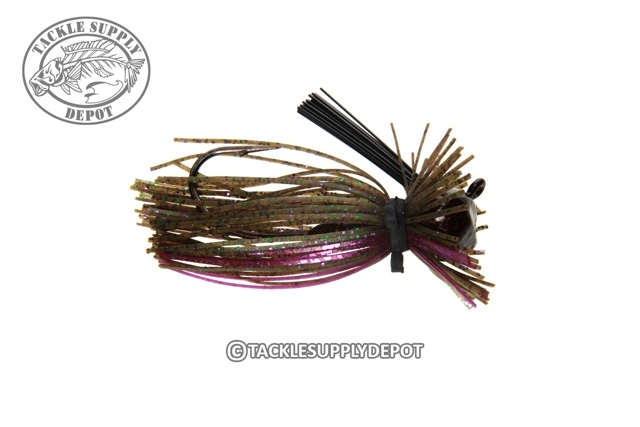 For a quality fish catching jig, the Jewel Heavy Cover Finesse Football Head Jig is hard to beat. Poured with a custom Mustad hook. You can not go wrong with a 1/2 oz heavey finesse jig! it pin's them down!!!!! Great looking bait, hook feels pretty good and how can you beat 2 per pack! !